Harry Knowles enlisted in the Canadian Expeditionary Force in August 1915 at the age of 40. Elizabeth Knowles, known to her family as Granny Knowles, is shown later in life with one of her great-grandchildren. Harry Knowles' official death certificate from the Canadian army. Canadian soldiers lay duckboards over the mud during the Battle of Passchendaele in November 1917. Members of the Canadian Field Artillery use horses to take ammunition to forward guns during the Battle of Vimy Ridge in April 1917. Harry Knowles also handled horses for the army. Ted Knowles, Harry's youngest son, was 4 years old when his father went off to war. Ted, shown holding my sister, Judy, would become my grandfather. It was the War to End All Wars. World War I, a massive tableau of death and suffering, ended 100 years ago on Sunday, Nov. 11. More than 9 million servicemen died in the Great War, including 116,000 Americans. Countries from five continents sent troops to the conflict. It was war on an epic scale that the world had never witnessed. And yet it also was a war with small, personal stories. Millions of them. Of fathers and husbands, sons and brothers, sent to Europe never to return. Like Harry Knowles, a 40-year-old stableman from Peterborough, Ontario, who joined the Canadian Field Artillery as a driver in 1915. Two years later, he would die in a field hospital in France of gas wounds suffered during the Battle of Passchendaele. Harry was my great-grandfather. His youngest son, Edward – whom everyone called Ted – was four when Harry joined up. Ted would become my grandfather. He had the same dark features as his dad – deep brown eyes and hair that never grayed. And he would serve in his own war: World War II, as a gunner’s mate in the U.S. Navy. As nations pause to remember the cataclysm that nearly consumed the world, I will take a quiet moment on Nov. 11 to remember my great-grandfather. 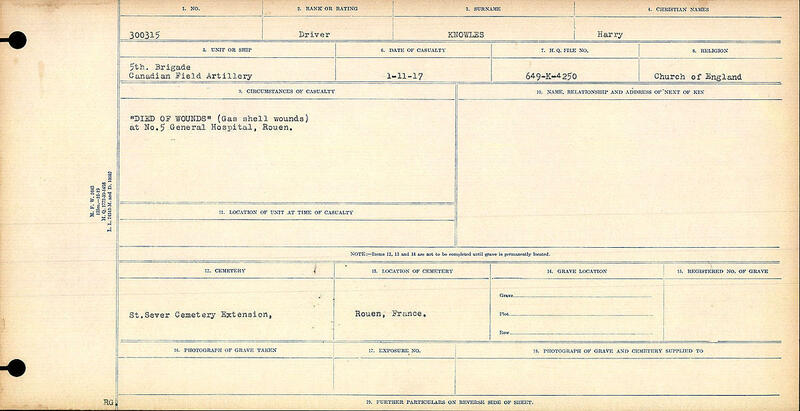 Harry Knowles' medical form from the Canadian Army. Harry Knowles was born in 1875 in Chelsea, near London. He immigrated to Canada shortly after my grandfather was born in 1911 and landed in Peterborough, Ontario, about 75 miles northeast of Toronto. Harry tried to join the army in 1913 but was rejected. Perhaps because he was 5-foot-1 and weighed only 125 pounds. In 1915, with staggering losses beginning to mount in Europe after the first year of the war, he was accepted for service at the age of 40. “They were taking men by late ’15 and there’s a surge after the Second Battle of Ypres (in April 1915),” said Tim Cook, a historian with the Canadian War Museum. During his enlistment, Harry Knowles filled out a will. He left "the whole of my property and effects" to his wife. Although considered the first modern war, World War I armies relied heavily on horses to pull wagons and artillery pieces, and to carry supplies. An army couldn’t function without them, which made my great-grandfather – despite his age and size – a valuable recruit, Cook said. As part of his enlistment, Harry handwrote a will, torn from Page 14 of his soldier’s handbook. 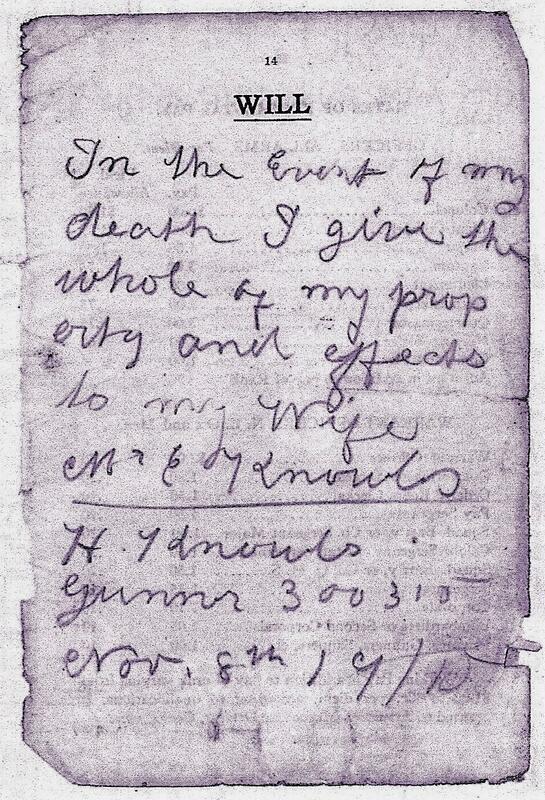 In pencil he wrote, “In the event of my death I give the whole of my property and effects to my wife Mrs. E. Knowles”. I never heard my grandfather speak of the father he had hardly known. But he used to take me and my siblings to visit his mother, Harry’s widow. Elizabeth Knowles, Harry Knowles' widow. She was born Elizabeth Sheehan, but we only knew her as Granny Knowles. She lived in a retirement home on Oulette Avenue in Windsor, Canada, just across the river from Detroit. My grandfather built a lakeside cottage in Stoney Point, Ontario, to take his grandchildren swimming and fishing. Whenever we went there, we first had to stop to see Granny. I didn’t particularly like going there as a child. The building smelled funny, and the old people wanted to pat you on the head or pinch your cheek, or both. Granny Knowles received $180 bonus from the government after Harry’s death. 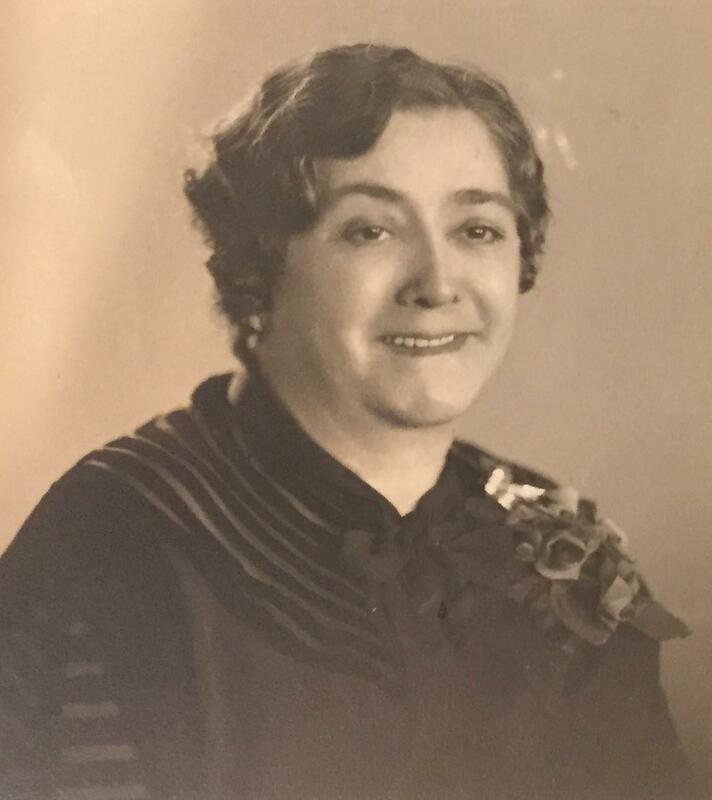 She would be a war widow for more than 50 years until she passed away in the early 1970s. It was Granny Knowles who picked out the inscription on Harry’s tombstone in France, where he was buried. Harry died during the Battle of Passchendaele. Even by the cruel standards of World War I, Passchendaele stood out for its senseless slaughter. 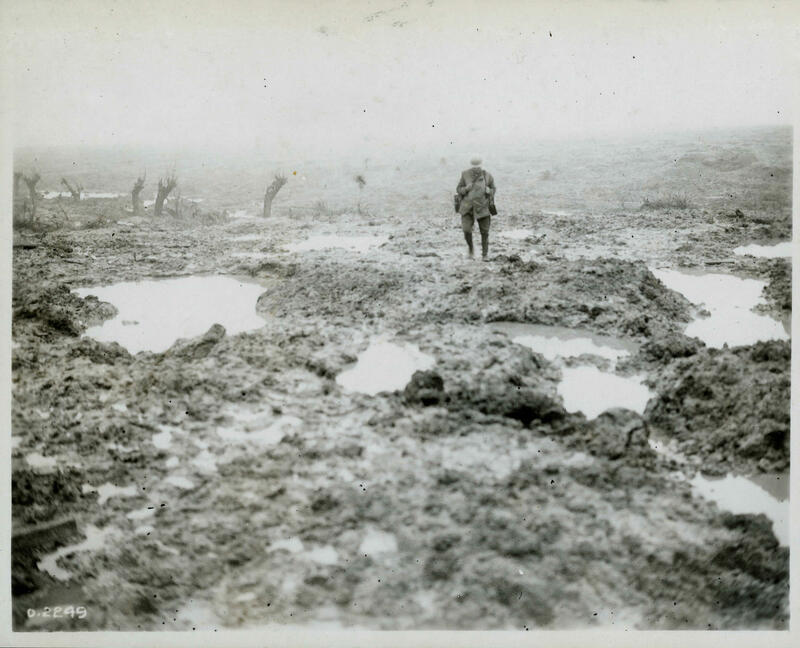 An offensive by the British to take the village of Passchendaele in July 1917 bogged down in the rain and mud. Winston Churchill, who served on the Western Front during the war, later described it as "a forlorn expenditure of valour and life without equal in futility." An offensive by the British to take the village of Passchendaele in July 1917 bogged down in the rain and mud. A renewed attack was ordered, with the Canadians to take the lead. “The battlefield was one of the worst in history,” historian Tim Cook said. “The roads were dissolved. There’s nothing solid to stand on. Soldiers are sinking into the mud. Wounded men are drowning in the filth. "The casualties are horrendous for every battle, and the conditions so monstrous that very few of the dead could be carried off the battlefield. The energy had to go towards the wounded. On Oct. 31, days after the Canadians joined the battle, Harry was wounded during a gas attack. The rear areas were regularly targeted by enemy chemical shells to slow the movement of supplies carried by horses. 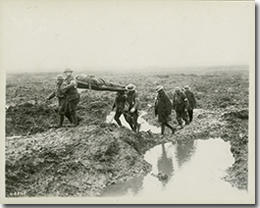 Stretcher-bearers carry a wounded soldier through the mud during the Battle of Passchendaele in November 1917. The Germans, who had introduced gas earlier in the war, used mustard gas for the first time in 1917. Named for its cloudy, yellowish appearance, it blistered the skin, both inside and out a person’s body. It caused a soldier’s lungs to fill with fluid, and the victim suffocated. Harry died on Nov. 1, 1917, at No. 5 General Hospital in Rouen, France. He was 42. He is buried there at the Sainte Sever Cemetery Extension. A week after Harry died, the Canadians captured Passchendaele. More than 400,000 men on both sides died so the Allies could advance five miles. When war broke out in 1914, Canada was a self-governing dominion of the British Empire. In effect, once Britain declared war on Germany and the other Central Powers, so did Canada. Nearly 10 percent of Canada’s total population of 8 million served in uniform during the war. Nearly 66,000 of them, including Harry Knowles, would die. But the war, and Canada’s sacrifice, stirred a renewed sense of patriotism and national identity. And it caused the country to re-examine its relationship with Britain. “The Great War in Canada is often seen as the war of independence,” Cook said. In 1919 Canada signed the Treaty of Versailles that formally ended the war. And it became a member of the League of Nations, something the United States opted not to do. Twelve years later, Canada took control of its own foreign policy and became an autonomous country, an equal to others in the British Commonwealth. The great suffering had not been in vain. There will be remembrance ceremonies around the world on Sunday to commemorate the end of the war. The National World War I Museum and Memorial in Kansas City, Mo., is holding 10 days of activities leading up to Nov. 11. Representatives from more than 10 countries will take part in memorial events on Sunday. And there will be similar ceremonies in Ottawa, at the Canadian War Museum. Wichita will host a memorial service at 2 p.m. Sunday at Veterans Memorial Park. Though the war might seem long ago, it remains fresh to many of us who grew up with those touched by it. And it remains fresh for Canada, a country that came of age during those horrific years. “For Canada, the war continues to haunt us in many ways,” said Cook, who has written 11 books on Canada's World Wars including his latest, "The Secret History of Soldiers." “And I suspect it is something about those Canadians who were lost that continues to haunt us," he said. "They resonate in a way, even though they’re all gone. And we continue to search ... for them. We continue to listen for the whispers, for the traces of their war experience. Special thanks to the National World War I Museum and Memorial, and the Canadian War Museum. More than 100 Army Reserve soldiers, including some from Wichita, are in France this week to commemorate the closing days of World War I. The war ended on Nov. 11, 1918. France and its allies are remembering the 100-year anniversary of the armistice with a series of events. While Europe teetered on the brink of war during the summer of 1914, the threat of escalating violence and warfare with Mexico consumed Americans’ attentions. The relationship between the United States and Mexico began to sour in 1910 as Mexico fell into a decade-long civil war. Until 1914, the U.S. warned Mexico that it would only get involved if the fighting threatened the lives or property of Americans living in Mexico. Twice, President Taft sent troops to the border as a warning, but did not allow them to intervene in the conflict.